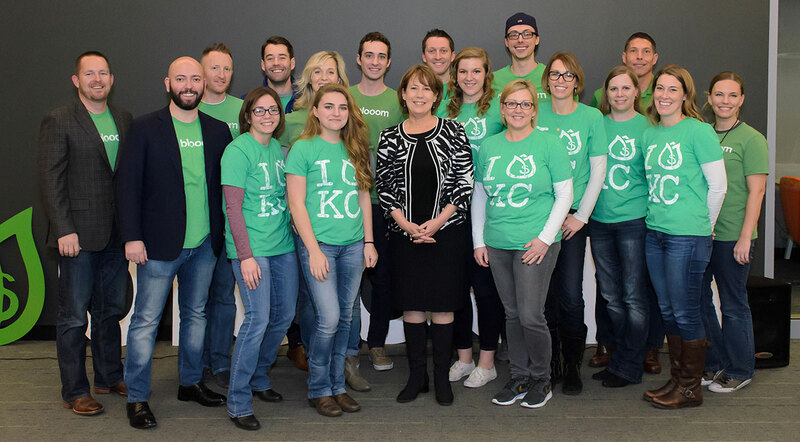 LEAWOOD, KANSAS, June 7, 2016 — Blooom today announced that it is the fastest growing independent robo-advisor in history, racing to $300 million in assets under management in 20 months since launch, in half the time and years quicker than other prominent independent robo-advisors in New York City and Silicon Valley, and while raising less than one fifth of the outside capital to reach this mark. Blooom, a robo-advisor focused specifically on helping anyone with a 401k or a 403b, has now analyzed the health of more than $1 billion of 401k balances, and the company’s 100% growth rate in 2016 alone, makes it the fastest growing robo-advisor in the nation, according to monthly SEC ADV filings. “Most of our growth has been organic, through word of mouth, because our clients – everyday, regular Americans in all 50 States – see how meaningfully we can improve their 401k, cut their hidden fees, and potentially add years in retirement,” said blooom CEO and co-founder, Chris Costello. Blooom also announced today that Sheila Bair, FDIC Chair under two US Presidents, and named the second most powerful woman in the world in 2008 and 2009 by Forbes, has joined blooom as its first Advisory Board Member. Sheila Bair was responsible for the successful safekeeping of $6 trillion of Americans’ savings during the financial crisis and was called “the little guy’s protector in chief” and “a new sheriff of Wall Street” by TIME Magazine. “We are thrilled to have a public servant as uniquely pro-consumer, non-partisan, and visionary in her ability to champion the rights of regular Americans, as an advisor to blooom. We cannot think of anyone in the country better suited to help guide blooom in our mission to help millions of Americans save more money,” said Greg Smith, blooom president. A national thought leader on tackling record setting student debt and the importance of savings, Sheila Bair now serves as president of historic Washington College. “I am very glad that blooom is doing its part to restore the good name of innovation and financial services by serving an overlooked segment of retirement savers” said Sheila Bair. “Blooom is an incredible tool that brings transparent pricing and un-conflicted advice to the millions of Americans who now, more than ever, need help keeping their costs low and choosing appropriate investments. I applaud blooom’s mission and progress,” Bair added. Blooom is a first-of-its-kind service that breaks down the barriers of complexity in a retirement system that has become too complicated, opaque, and expensive for the vast majority of Americans to understand. Blooom uses the image of a growing flower (wilting, blooming, venus fly trap) plus straightforward, jargon-free language to diagnose for Americans how they are doing in their savings. In a recent New York Times profile of blooom, the financial journalist himself was able to save $775 in fees by using blooom’s 4 minute 401k tool. This $775 annual saving compounded to a whopping $100,000 of additional savings over 20 years, just because the journalist spent 4 minutes actually looking what was in his 401k, and understanding what fees he was being charged. “90 million Americans have a 401k or similar retirement account, yet, tragically, more than 80 million people get no help with these accounts, and are largely guessing or are unaware what they are invested in. Blooom is here to meaningfully move the retirement security needle for many of these people, and we are excited and inspired by our progress and growth so far,” added Costello.